Well I want to do a bit of mythbusting before we hop into the meat of this article. 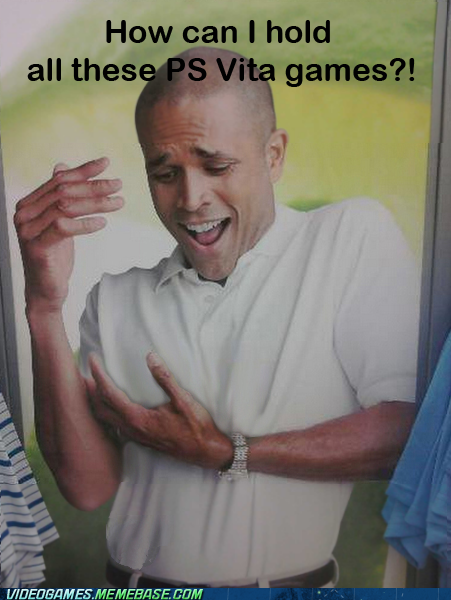 I bought a Vita on a bit of a whim after the price drop a few months ago. However, I wasn't getting a ton of use out of it until I got my PS4 and PS+ subscription, at which point my eyes were opened to the awesomeness. PS+ carries across all PS devices, and so suddenly I had access to a ton of free games. Seriously, whoever said that PS Vita has no games has clearly never played one - I've been spoiled with Gravity Rush, Uncharted: Golden Abyss, Hotline Miami, Oddworld: Stranger's Wrath, Guacamelee! and Kick Beat - all of which I got for free or heavily discounted thanks to PS+. Then there's the games I happily paid full price for, including Ninja Gaiden Sigma +, Ninja Gaden Sigma + 2, DOA5+, MGS3 and Soulcalibur: Broken Destiny (oh, did I mention it plays PSP and PS1 downloadable games too?). That's not mentioning the games I want to play soon enough, like Killzone: Mercenary and Borderlands 2, but am too swamped with games to justify the purchase quite yet. Plus you can remote play PS3 and PS4 games, such as Battlefield 4, via the Vita. Bottom-line: PS Vita has an excellent games library, and people need to wake up to this fact. Is it probably still better to get a 3DS? Yes, probably, if you want only one handheld. However, you can't really go wrong with a PS Vita, it's still a great little handheld with a ton of potential still in store (such as the epic-sounding PlayStation Now cloud streaming service). 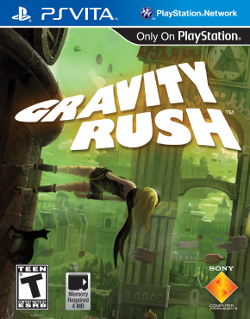 Anyway, with that out of the way, onto the real purpose of this article - Gravity Rush. I had heard that this was the best game in the Vita's launch lineup, but I wasn't entirely sold on it until I played the incredibly fun demo. As soon as I got PS+, I downloaded the game (which I got for free, remember) and booted it up. I finally finished it a couple weeks ago and knew I needed to write a review as soon as the credits began to roll. Gravity Rush is an open-world adventure game about a mysterious girl named Kat who is befriended by a celestial cat she names Dusty. Dusty gives Kat the ability to "gravity shift", allowing for them to reorient the direction of their personal gravity. This gives Kat a plethora of abilities, from being able to float, fly, launch objects, set up a high-speed kick, walk on walls/ceilings, etc. Gravity shifting is a fantastic central mechanic and is an absolute joy to perform. It's a little difficult to control at first, but quickly you'll build up your skills and be soaring and aligning yourself with total precision. I got about 12 hours out of the campaign and didn't grow tired of shifting once, which is quite a feat - I loved the Assassin's Creed franchise, but ended up ditching it because of how irritating and repetitive free running a city for 5-10 minutes just to get to the next objective would get. The story was also surprisingly engaging. It's told in a rather silly and whimsical manner, with all sorts of random stuff just showing up out of nowhere, but it manages to stay engaging and fairly coherent. Kat was also a fun, light-hearted protagonist, which is refreshing compared to the dour, self-serious heroes we have to put up with these days. Her asides provide quite a bit of humour to the proceedings. The game also features quite a diverse female cast, a rarity within the games industry (especially since they aren't extremely sexualized either). 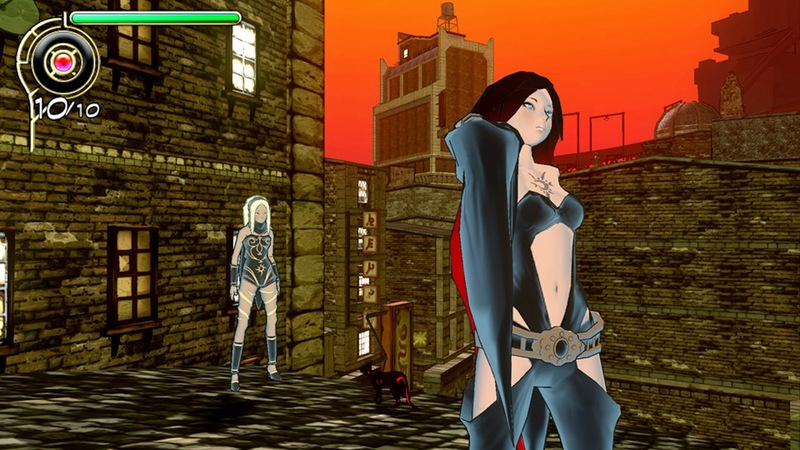 In addition to Kat, the game also features Raven (another gravity shifter who is notably more dark than Kat), Cyanea (a "creator") and Yunica (a hardboiled soldier who is second in command of the army). Considering that many games don't have female characters outside of minor supporting roles, this has to be commended. That said, Kat and Raven aren't exactly feminist icons - both are somewhat sexualized (especially Kat in a fanservice DLC costume, a mission where she's hunting for a boyfriend and a couple very random shower scenes), although it's not to a particularly untasteful level at least. Outside of those shower scenes, I didn't really feel like the game was ever objectifying the characters, their garb was just the norm of the shifters. Beyond the story and gameplay, the graphics are just gorgeous for a handheld, and a launch title at that. The game has a distinct cel-shaded look with fairly sprawling and detailed city-scapes, featuring plenty of citizens milling about. It'll seriously make you reconsider what is possible on a handheld system. On the negative side though, the draw distance isn't as good as it probably needs to be and the cities are lacking in stuff to do outside of explore and complete a few side missions, but at least shifting to find gems is fun in itself. The only major fumble is that combat can get pretty irritating. The enemies, called Nevi, all feature requisite glowing weak points and come in a variety of shapes and sizes. They're not too bad usually, unless you have to "gravity kick" them mid-air. This involves shifting and then launching a kick at them, which makes Kat shoot towards them for a monumental kick. Unfortunately, Kat has a limited lock-on to the target and it's too easy to overshoot them. In some of the later fights, I was having to line up 4 or 5 gravity kicks just to hit the target, which got especially annoying when I would have to cancel my kicks to dodge projectiles. However, this was hardly game-breaking. I was also annoyed by the tacked-on "gravity sliding" sections. 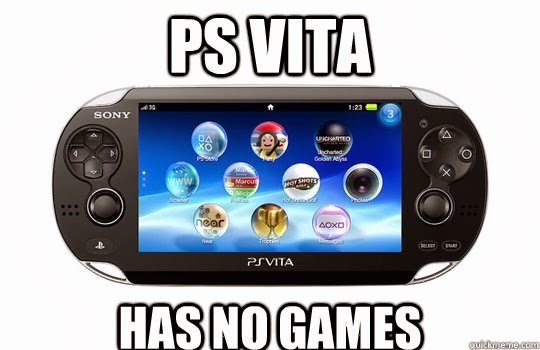 A lot of PS Vita games have annoying features to taut the system's touch screens and tilt functionality. Uncharted: Golden Abyss is a particularly egregious offender in this regard, but Gravity Rush is usually pretty good at incorporating swipes for dodging, turning pages in cutscenes and tilting the camera. However, the gravity sliding sequences were just way too imprecise as you tried to tilt the camera so Kat wouldn't run into anything. Luckily, gravity sliding is largely confined to side missions and isn't a major requirement to complete the game, but it was definitely a cause of frustration. Also worth noting is that the ending of the game isn't particularly satisfying. The game ends with a lot of loose ends still hanging, which is clearly just done because Sony sees the game as a potential franchise. Luckily, Gravity Rush 2 was recently announced, so hopefully it will give us more answers and improve on the combat. So what did I think of Gravity Rush? I thought it was slightly flawed, but very charming and it kept me engaged for many an hour. I can't wait to step into Kat's shoes again for the sequel, and will be sure to buy it as soon as it comes out. If you have been thinking about getting a PS Vita and are looking for a good game for it, or you have a Vita already and haven't experienced the game yet, I heartily recommend Gravity Rush.